Ladies and Gentlemen, I am very pleased to present to you part one of new and updated pictures of My Collection! The Main Display Room! It took me around 60 days to get these figures dusted and move most of the older bookcases to accommodate the two new display cases with glass doors for my Minimates. (Love them! Thank you IKEA!) While I was doing all that, I decided that I may as well really clean the room in detail from top to bottom. I also updated the statistics at the bottom of the page, which means I had to count and tally everything up. That was a big job in itself. One observation that I made when I was cleaning the figures, was that the Toy Biz Marvel Legends are not holding up very well. I realize that some of them are eight years old now, but I try very hard to take good care of them. The paint is fading and chipping on them and joints are becoming brittle or even more lose. Oddly enough; and I never thought I would say this but, Hasbro’s Marvel Legends are fairing much better with their lack of paint applications and stronger plastics. 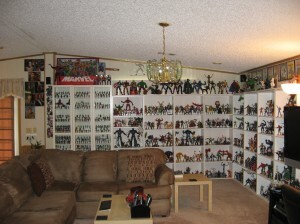 Most of Hasbro’s figures are not nearly as old as Toy Biz’s though, so we’ll see if that changes down the road. 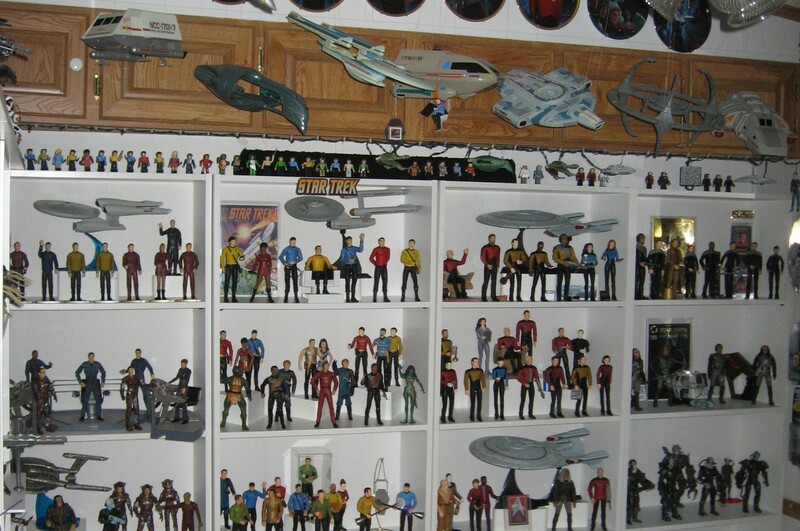 It will probably take me another month, maybe more, to get the Sci-Fi Display Room done. I have to do some serious re-arranging back there as well. I will go ahead and update the statistics for that room sometime today though, since I’ve already taken an updated count in there. 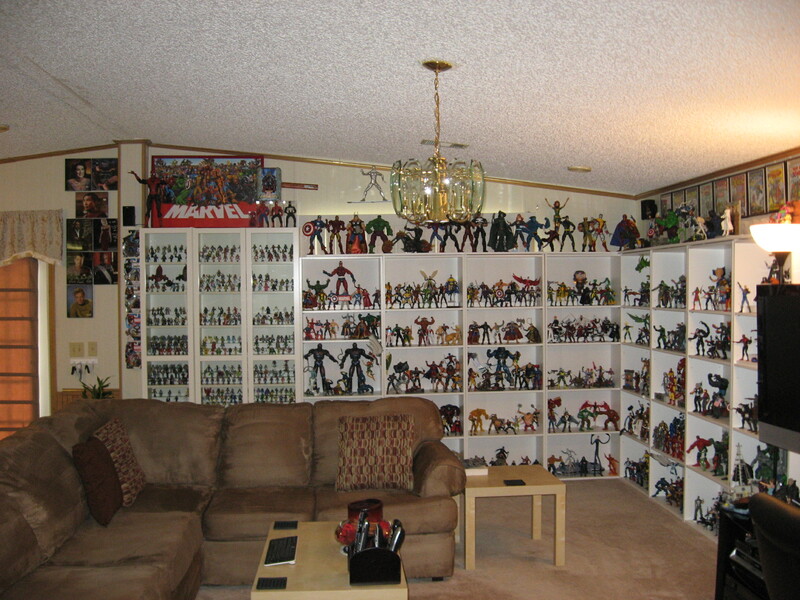 Not much has changed back there except for Alien/Predator, Ghostbusters, and some various Neca figures. Thanks mknjhill! It's always growing. The keyboard is for the Logitech Revue with Google TV. Great collection! Where did you get the shelves? Hi Chris! Thank you! I'm not sure which shelves you're asking about.